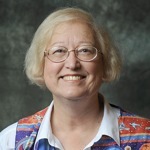 Constance Elaine Trimmer Willis (born December 31, 1945) is an American science fiction/fantasy writer. She has won eleven Hugo Awards and seven Nebula Awards for particular works—more major awards than any other writer—most recently the year’s “Best Novel” Hugo and Nebula Awards for Blackout/All Clear (2010). She was inducted by the Science Fiction Hall of Fame in 2009 and the Science Fiction Writers of America named her its 28th SFWA Grand Master in 2011. Several of her works feature time travel by history students at a faculty of the future University of Oxford—sometimes called the Time Travel series. They are the short story “Fire Watch” (1982, also in several anthologies and the 1985 collection of the same name), the novels Doomsday Book and To Say Nothing of the Dog (1992 and 1998), as well as the two-part novel Blackout/All Clear (2010). All four won the annual Hugo Award and all but To Say Nothing of the Dog won both the Hugo and Nebula Awards. Willis’s first published story was “The Secret of Santa Titicaca” in Worlds of Fantasy, Winter 1970 (December). At least seven stories followed (1978–81) before her debut novel, Water Witch by Willis and Cynthia Felice, published by Ace Books in 1982. After receiving a National Endowment for the Arts grant that year, she left her teaching job and became a full-time writer.